Melbourne is blessed to have a great variety of gardens about the CBD. Were there one drawback to having so many, it is that beyond the most popular locales like the Botanic Gardens and the Carlton Gardens, it can be easy to overlook the others a little. A visit to Flagstaff Gardens would confirm that is a bad idea. 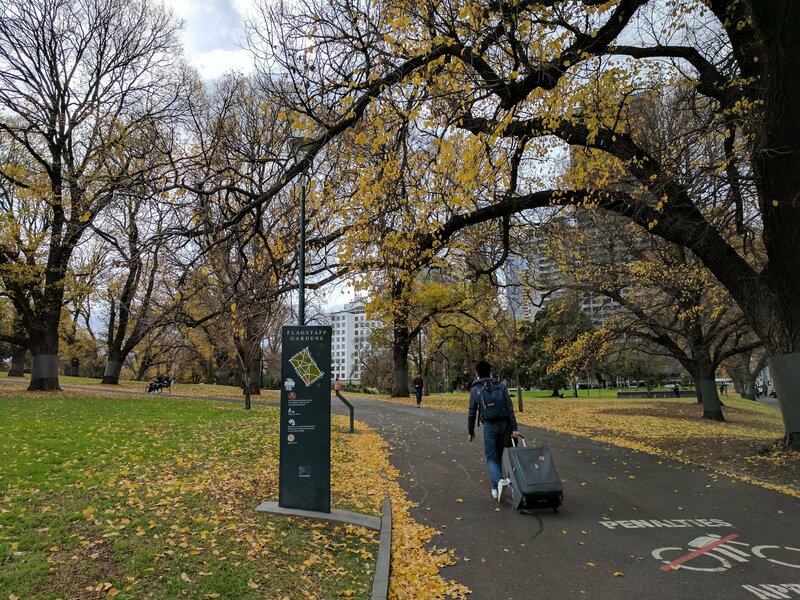 Situated in the southern end of the Melbourne CBD, Flagstaff Gardens is a wonderful part of the world for those who desire somewhere quiet and pretty to sit on their lunch break, for an evening stroll, or weekend visit. With a time of year like now delivering a great mix of golden autumn leaves, green grass, and crisp air, the Gardens serve as something of a green oasis amidst the skyscrapers of Melbourne's corporate district. Tracing its origin all the way back to 1862, this spot is a representation of Melbourne's early history, and also a showcase of wonderful Australian fauna with eucalyptus and Moreton Bay figs trees featured among the greenery. Beyond this, the park also hosts a bowling lawn, rose beds, tennis courts, and the quintessential electric barbecue for those who wish to make an afternoon of it in the park. Just like a number of other parks and many of Melbourne's beaches, Flagstaff may be lesser-known, but it is among the very best.